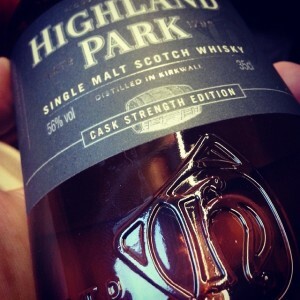 Bottled in 2008, cask number 401 gave 322 bottles. Nose: Potato crisps with paprika. Malt and vanilla with a touch of smoke. With water I get balck pepper and a dose of barbequed chicken. 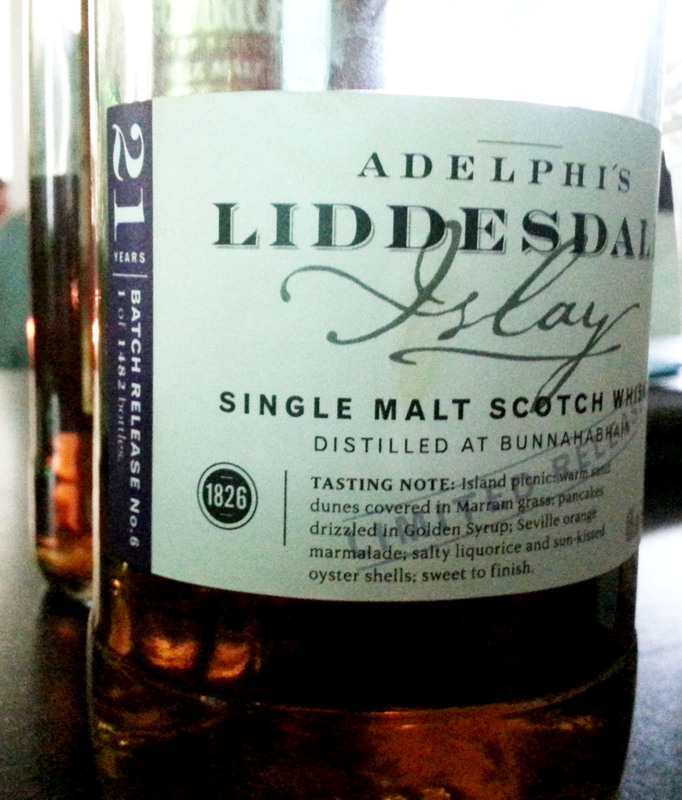 Palate: Smoke, ashes and malt. With water, much of the same. Not that this is a peat monster, the smoke is contained, but very clear. Salt bisquits and on the finish something vegetational. Comments: Bottle-kill. 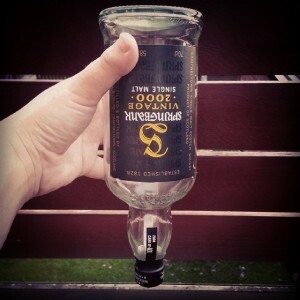 The last few cl have been hanging around the bottle for a while, so that might have affected the taste. Takes a lot of water. This was the first Springbank I liked well enough to buy a bottle of, and it’s therefore a sort of milestone in my personal whisky history. Nose: Newly struck matches, dried red berries. Water adds tartness to the nose, I get lemon but also a little sulfur and a hint of liquorice. 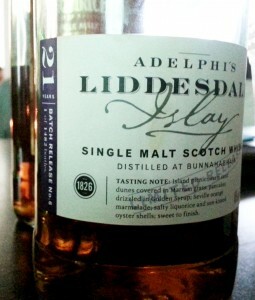 Palate: The malt is obvious, even through the fairly heavy cask influence. Newly struck matches, oak and dry sherry. Water opens for bitter chocolate and dry forest. Dry cocoa and barley dust on the finish. Comments: I’m rather more impressed this evening than when I had it as part of a tasting the other day, I found it a bit too bitter then. I still miss a compensating sweet note, or at least I think I do. 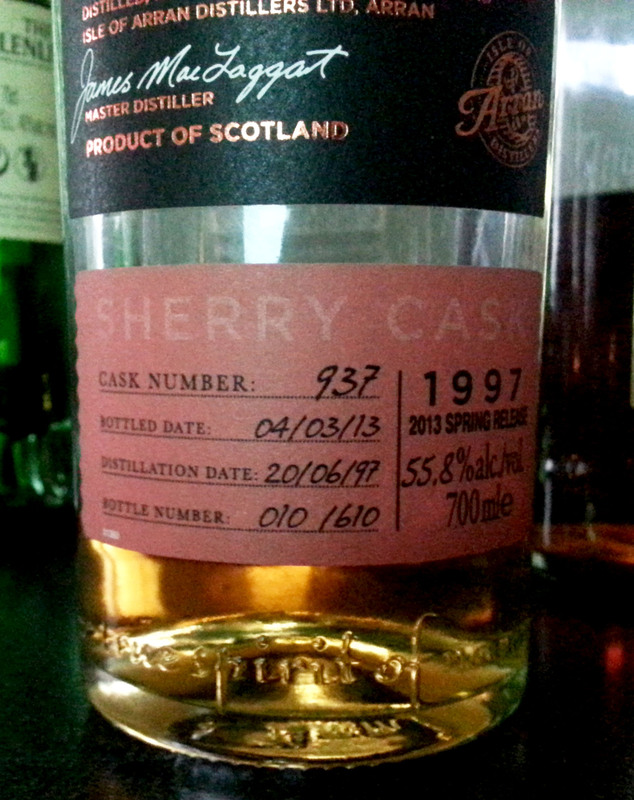 There is something not entirely “complete” about the sherry character. Still, a nice dram, I’ll have another if you’re offering. Nose: Pear popsicles, a hint of smoke, oak. With water it develops into melon yougurt and dry driftwood. Palate: Oak, honey, warmth and a little black pepper. More bitter with water and a subtle smokey character, but also something fruity, orangey. Comments: Somewhat interesting the contrast between the “cool” nose, especially with the popsicles, and the “warm” taste. 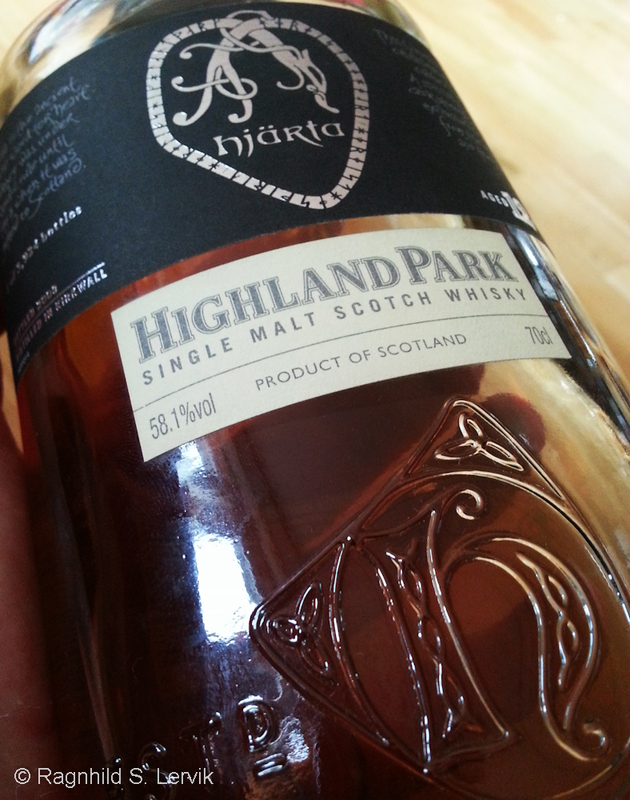 Otherwise a nice enough dram, middlingly complex but not something to spend an evening studying. This is a rather unusual vatted malt, as it’s a vatting of Japanese malt whisky from Yoichi and Scottish malt whisky from an unnamed Islay distillery. The latter is probably Caol Ila, from the simple fact that that is the Islay malt most readily available, but it may be one of the others even so. Nose: Newly lit barbeque (charcoal lighter fluid and fire). Lightly smoky and quite a bit of vanilla. With water I get red Hubba Bubba (chewing gum from the 80ies), and some barbequed meat. Palate: Clearer smoke, but some charcoal lighter fluid here too. Baked apples. Water emphasises fire and ashes, but with an underlying sweetness. Comments: You’d think that charcoal lighter fluid would be negative as a tasting note, but as it provides images of summer and barbequeing it’s not unattractive. Otherwise the whisky is not quite interesting enough and at the same time not quite peatmonstery enough to become a new favourite, but it’s quite drinkable. Nectar d’Or has been finished in Sauterne casks. Blind tasting. Nose: Acetone and oak, lightly perfumed and quite bourbon-y. But then, after some time in the glass: Raspberry jam and pancakes. With water it developes a trace of wax or Play-Doh and burnt matches. Palate: Oaky perfume, faint bitterness, burnt sugar. Malt and orange marmelade. The marmelade turns to berry jam once water is added. Comments: On first sip I was hesitant, but after some time in the glass it’s quite nice, really. Not something I’d buy a whole bottle of, perhaps, but I’d not say no to another dram. 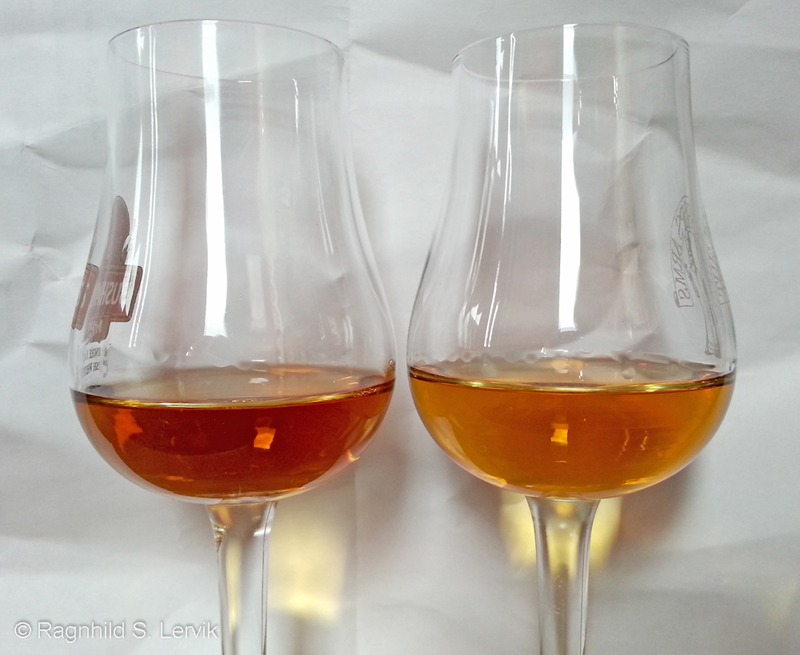 A parallel tasting of the old version of Highland Park 12 years old, bottled in the late eighties at 43% abv, against the current version of Highland Park 12 years old, also bottled at 43% abv. Colour: The old version is considerably darker than the new one. 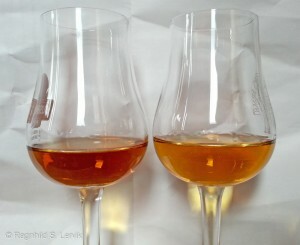 But as they are both undoubtably coloured with E150, this doesn’t tell us much (except, perhaps, what impression the distillery wants us to get when looking at the whisky). Nose: Sweet woodiness, wax or Play-Doh, milk chocolate, plum in Madeira and ashes mixed with grain dust. Water brings out citrus, lemon and lemongrass, but also some other herb. Thyme? Palate: Play-Doh, orange peel and orange marmelade, honey. Nose: Wooden notes, but lacking the sweetness of the other. Somewhat barren vegetation, juniper trees and non-flowering heather. After a while in the glass it releases some congeners and appears younger, but with a little water this disappears and I get citrus and a hint of smoke. 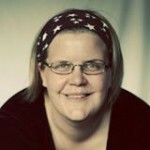 After even more time I suddenly get “krumkaker”. Palate: Rougher than its older cousin. Oak and some sort of dried spice. Orange marmalade on the finish. With water I get chocolate, but a dark and somewhat bitter variety. Some lemon and citrussy notes. Comments: It is interesting to see how different these are, but that there are still common threads. For example they both react to water by releasing citrussy notes. The new version gives the impression of being younger, which will count against it for a lot of people, and it is wholly lackig the waxy notes I found on the old version. To someone who loved the old version, the new “design” will probably seem all wrong, but I think I prefer it (marginally). Both are excellent “standard whiskies”, neither is a perfect ten. 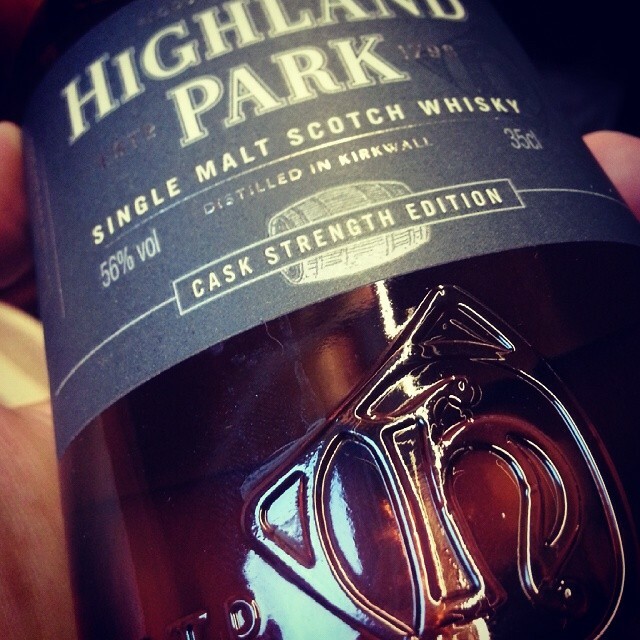 I would not complain being served a dram of Highland Park 12 years old (no matter what decade you purchased the bottle) but somewhere with a wide selection I would be likely to look for something more exciting. Thanks to Morten and Håvard for the samples. From 2 ex-bourbon hogsheads. Blind tasting. Nose: Immediately some gin notes, juniper and a hint of liquorice. That disappears after a while and instead I get orange, milk chocolate and eventually malt. Water brings out pear ice lollies and vanilla. Palate: Orange chutney (is there such a thing? ), in other words: Spiced orange marmalade. Grain dust and a little metal. Comment: I like it. I’d love a top-up and would even buy a bottle if the chance offered.